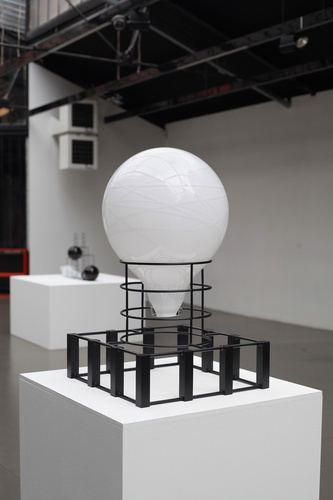 In the series Totipotent Architecture, Lucy + Jorge Orta refer to the monumental architectonical structure, the evident formula, the key element in the development of cells. This force, this « full potential » (« Totipotency ») of a cell is an ever-growing powerful virtual energy, that can only come to its end under certain conditions. A habitable and conquering living cell creates new forms, regenerates whole new individuals, as though driven by an incommensurable and irresistible need to exist and to conquer, in search of a new beginning, a new expression, a new self, a new world. 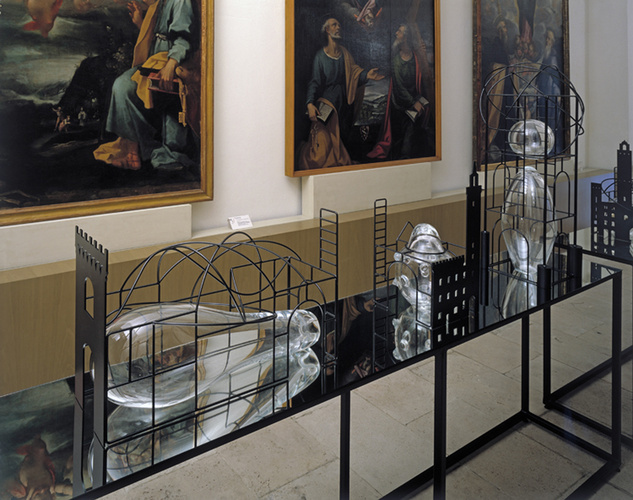 Parallels can be drawn between the steel and glass works created by Lucy + Jorge Orta and the « Capriccio », the Renaissance architectural dreams, or the Great Architect’s dream of the Universe and the Cosmos, a dream that is the very essence of creation and life. No life without dream… To find its incarnation, biological life also stems from a divine dream. Between being and living, housing and living, seeing and looking, Totipotent Architecture is part of this infra-thin space, that infinite portion of void separating seemingly synonymous concepts but rich in meaning, thickening the consistency by revealing its contrast (similar to medical contrast imaging).